Fabulous ocean and mountain views from this high floor corner unit at the luxurious Anaha building in the heart of Kakaako! Gourmet kitchen with Miele appliances, full-size Electrolux washer/dryer. Amenities include glass bottom pool, whirlpool, steam sauna, theatre, billiards room, golf simulator, fitness center, dog park, sand volleyball and tennis courts. 24 hour security and concierge desk. Additional storage room available for purchase at $35,000. 1 Parking Spaces. Assigned Parking Space, Garage. 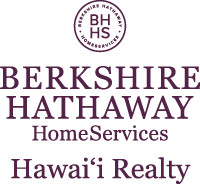 I am interested in 1108 Auahi Street UNIT 1808, Honolulu, HI 96814. Sign up for Inside AccessTM to view recent sales near 1108 Auahi Street UNIT 1808.